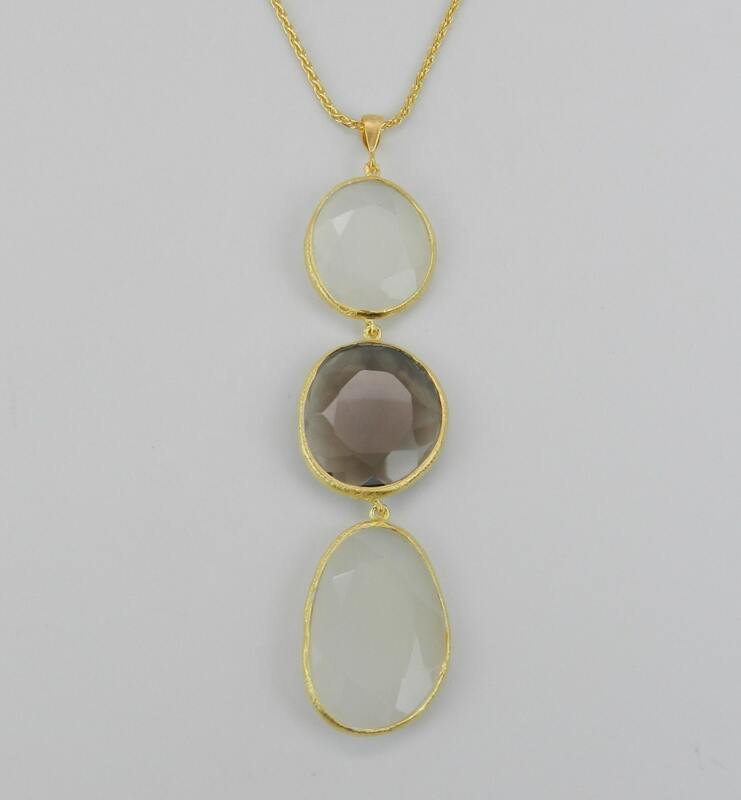 Gorgeous Smokey Topaz & White Onyx Gemstone necklace. 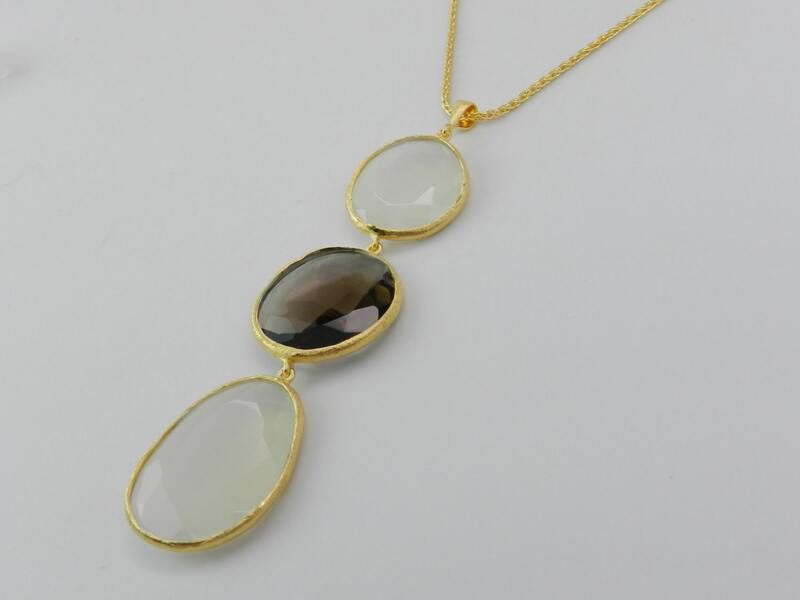 There is one Oval Smokey Topaz and two Oval White Onyx set in this necklace. 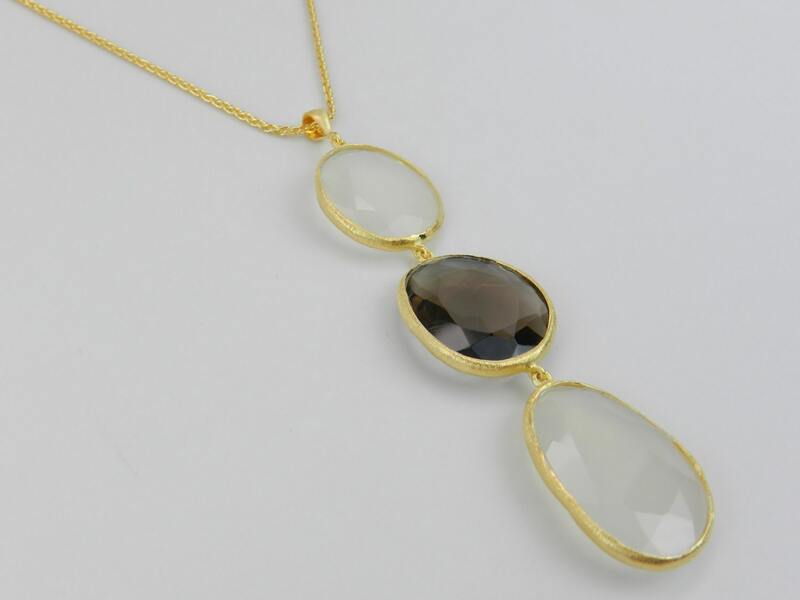 These gemstones are 100% genuine, the Smokey Topaz measures 16 X 18 mm, the White Onyx measures 14 X 17 mm and 16 X 24 mm and are bezel set in 18KT Yellow Gold heavy plated Sterling Silver (due to the gemstones being genuine, there is a chance that the measurements of the gemstones will vary slightly with each piece I create). 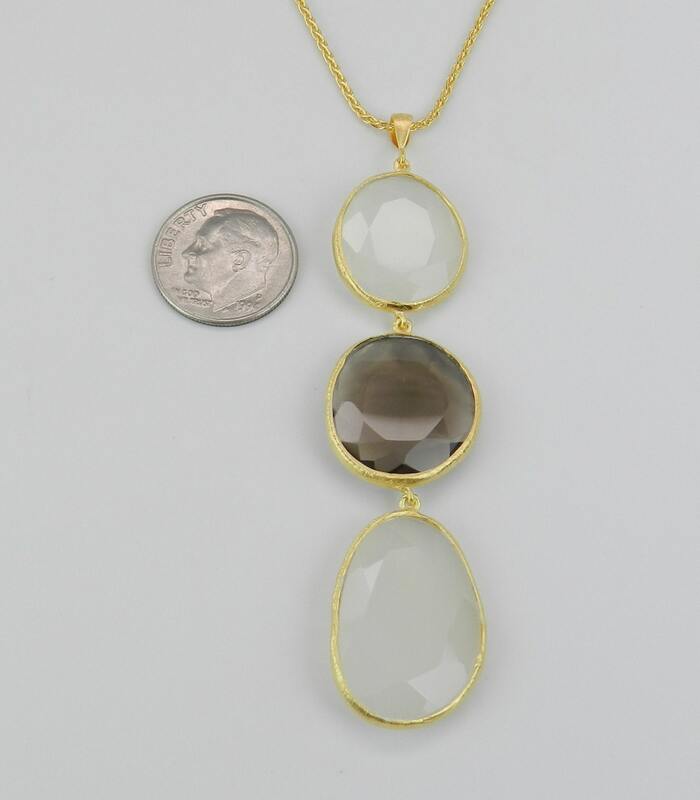 The pendant drop measures a total of 76 mm in length (3") and the necklace is adjustable from 16" to 18". 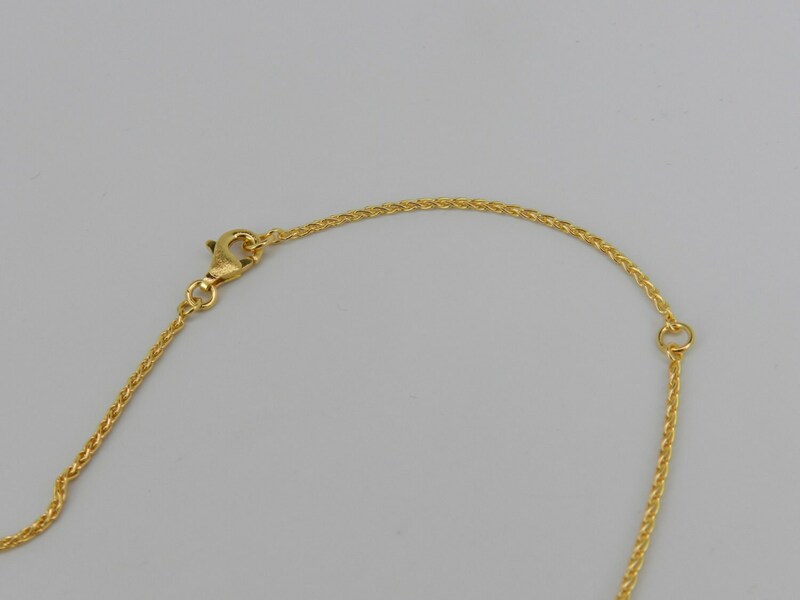 This neckalce will be shipped in a gift box.